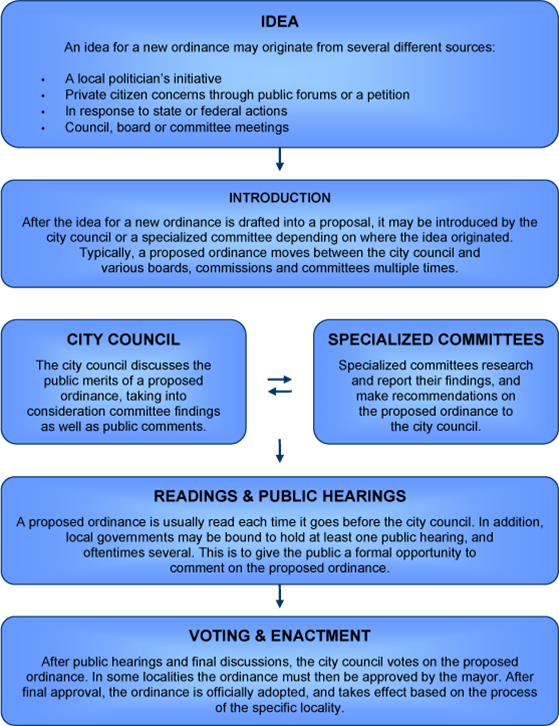 With that, here is “A condensed look at the ordinance process. | What is an ordinance? The “lock box” issue was nestled into the ordinance concerning “consolidation and enumeration of the fire companies” and to recognize there’s only one borough fire company. That ordinance was introduced and adopted by Council on December 11, 2017. It’s been stated that citizens had ample time to question, seek clarification or otherwise add to the discussion about the topical Knox Box part of that legislation. Citizens may recall that the deliberations to meld existing fire fighting resources and operations into a single borough fire department were held devoid of citizen input. FEBRUARY 18, 2017 – LEGISLATIVE COMMITTEE MEETING MINUTES | information was provided form the Safety committee regarding discussion for the need for installation of a Knox Box in certain buildings in Columbia Borough and accompanying legislation for this. Per request from fire chief, Borough Manager Sahd will ensure that keys to the market house are added to the Knox Box already in place on the borough offices building. He will also contact communities provided by fire chief to obtain wording for a draft ordinance for this. Review will be continued to next meeting. MARCH 18, 2017 – LEGISLATIVE COMMITTEE MEETING MINUTES | Knox Box Ordinance from Penn Township, York County was in packet for review. Following discussion decision was to include this as part of the Fire Department Ordinance amendment. MAY 10, 2017 – LEGISLATIVE COMMITTEE MEETING MINUTES | Revisions to the borough ordinance reflecting the consolidation of Columbia’s Fire Companies. Legislation Chair has met with a committee of fire company representatives to craft a complete rewrite/update to the present ordinance, inclusive of addition of Knox Box verbiage. JUNE 14, 2017 – LEGISLATIVE COMMITTEE MEETING MINUTES | Fire Department Ordinance: Wickenheiser advised that a meeting will be scheduled with Doug Kemmerly and Mark Fritz to work on this ordinance. Revisions will include Knox Box and solicitation at fire scenes by restoration services. AUGUST 9, 2017 – LEGISLATIVE COMMITTEE MEETING MINUTES | Fire Department Ordinance: Work in progress to reflect single fire company, Knox Box and prohibition of solicitation at fire scene. SEPTEMBER 13, 2017 – LEGISLATIVE COMMITTEE MEETING MINUTES | Fire Department Ordinance: Following discussion we will move forward with the original amending ordinance 673 and amend further to include Knox Box and solicitation at the fire scene. OCTOBER 19, 2017 – LEGISLATIVE COMMITTEE MEETING MINUTES | Fire Ordinance/lockbox/fire scene solicitation: Ordinance has been drafted by solicitor amending the fire ordinance and incorporating lockbox installation requirements and solicitation at fire scene control of restoration companies. This was forwarded to involved personnel for comment. None has been received from fire officials, comments were received from codes staff. Further discussion to incorporate that Columbia Borough Police Department is in the process of incorporating lockbox system in cruisers so that there is a need to change that section to include police access. NOVEMBER 8, 2017 – LEGISLATIVE COMMITTEE MEETING MINUTES | Fire Ordinance/lock box/fire scene solicitation ordinance: Following October Legislation Meeting recommendation to include police access to lock boxes was forwarded to the solicitor for inclusion. Red lined ordinance with changes was received and forwarded to Mayor, Police Chief and staff for comment. Chief responded that it “section on lock boxes looks good”. Motion to Council to authorize advertising fire ordinance/lockbox/fire scene solicitation subject to review by solicitor prior to advertising made by Murphy, second by Williams with all approving. NOVEMBER 13, 2017 – BOROUGH COUNCIL MEETING MINUTES | Motion: To approve to authorize the Solicitor to advertise Ordinance 891 to amend Fire Ordinance, establish regulations for fire department / police department lock box system, establish regulations for fire scene solicitation to solicitor review prior to advertising. Motion: M. Wickenheiser; 2nd: J. Novak. Voice Vote: All Favored; Motion Carried. DECEMBER 11, 2017 – BOROUGH COUNCIL MEETING AGENDA | Consider approval of Ordinance 891 to amend Fire Ordinance, establish regulations for fire department/police department lock box system, establish regulations for fire scene solicitation subject to solicitor review prior to advertising. DECEMBER 11, 2017 – BOROUGH COUNCIL MEETING MINUTES | Motion: To approve Ordinance 891 to amend Fire Ordinance, establish regulations for fire department / police department lock box system and establish regulations for fire scene solicitation. Motion: M. Wickenheiser; 2nd Novak. Voice Vote: All Favored. Motion Carried. Did the borough send letters to homeowners regarding the possible expansion of the historic district? If so, why wouldn’t they have sent letters to the business owners as well with regard to the pending lock box ordinance last year? This could have helped avoid controversy later down the road.